Every once in a while you encounter a book with writing so beautiful that it makes you never want to return to the world of “ordinary” writing. The Sea was one of those books. 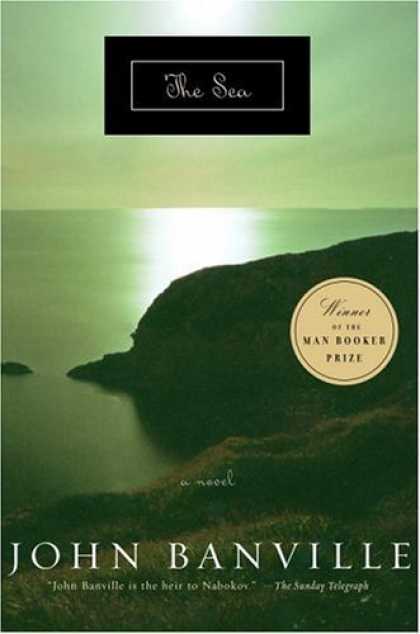 The Sea is a seemingly simple, but in essence rather complicated novel about loss, grief, memory, and regret. The protagonist is an aging man who, after losing his wife to cancer, rents a room at a boardinghouse that played a significant role in his childhood. Banville takes his time in letting the reader discover what happened to Banville during his childhood. He glides back and forth in time, weaving in two significant life events. The reliability of the narrator is brought into question as memory is unreliable and impacted by the experience of loss and grief. I make myself think of her, I do it as an exercise. She is lodged in me like a knife and yet I am beginning to forget her. Already the image of her that I hold in my head is fraying, bits of pigments, flakes of gold leaf, are chipping off. Will the entire canvas be empty one day? I have come to realize how little I knew her, I mean how shallowly I knew her, how ineptly. I do not blame myself for this. Perhaps I should. Was I too lazy, too inattentive, too self-absorbed? Yes, all of those things, and yet I cannot think it is a matter of blame, this forgetting, this not-having-known. I fancy, rather, that I expected too much, in the way of knowing. I know so little of myself, how should I think to know another? This was my first introduction to Banville’s writing and it blew me away. I loved the beautiful prose and exquisitely crafted sentences. The story is slow and at times meandering and directionless. The narrator skips around in time and the shifts in time make it difficult to follow. I can see why some people were bored (as indicated by goodreads reviews for this book) by the slow pace of the book and the confusing shifts in time, but I found the writing so beautiful and captivating that I remained engaged throughout. As a psychologist, I was also captivated by the way the author made memories blend to provide a more complete understanding of the narrator’s “current” emotional state. The Sea is a psychologically and emotionally complex book that is brought to greater heights by the truly gorgeous albeit highly dense writing. The book is not for everyone. There is no fast-moving plot and the language and sentence construction is complex. I admittedly had to pull out the dictionary on several occasions. Serious, literary fiction readers will appreciate this book for the beauty and complexity of the writing. That is not to say that the casual reader won’t enjoy this book, but that it is a book that requires a certain degree of investment – a willingness to dig a little deeper below the surface of plot line and think more deeply about the themes and issues raised by the author. Banville also references numerous literary works (both directly and indirectly) and while you can still appreciate the book without this background knowledge, the book is more enjoyable if you are able to recognize these references. I highly recommend this book! Happiness was different in childhood. It was so much then a matter simply of accumulation, of taking things – new experiences, new emotions – and applying them like so many polished tiles to what would someday be the marvelously finished pavilion of the self. There are times, they occur with increasing frequency nowadays, when I seem to know nothing, when everything I know seems to have fallen out of my mind like a shower of rain, and I am gripped for a moment in paralyzed dismay, waiting for it all to come back but with no certainty that it will. In 2013 the book was made into a movie. You can see the trailer below. We want to hear from you! Have you seen the movie or read the book? What did you think? I’m ashamed to say that I’ve never heard of this book! I do like a book that requires me to dig a little deeper… I’ll definitely keep it on my radar! I think Banville can be a challenging author and I’ve seen really mixed reviews of the book. No shame in it. I came across his works mainly because he has several on the 1001 books to read before you die list so it wasn’t really on my radar until relatively recently. I loved this one and was lukewarm about Shroud which I just finished. If you ever read The Sea, I hope you come back and let me know what you think.